Saudi Arabia’s Crown Prince Mohammed Bin Salman touched down in Washington on Monday, his first visit to the US as heir to the throne. Experts say the prince’s visit will improve the country’s image in addition to its policy. Salman’s global tour seeks to shift Western perception of Saudi Arabian society, and ease investor concerns over the nation’s heavily-criticised human rights record. Crown Prince Mohammed Bin Salman touched down in Washington on Monday, his first visit to the US as heir to Saudi Arabia’s throne. Salman is expected to meet with President Donald Trump on Tuesday, as well as prominent political and business leaders in New York, Washington and California over the next two weeks. 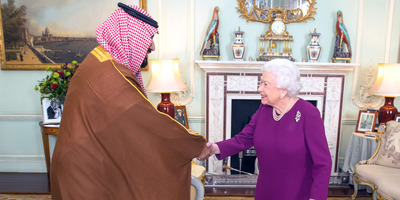 The royal’s agenda also includes meetings with heavy hitters from entertainment and tech giants, including Google, Apple, and Lockheed Martin. While Salman’s visit will no doubt enhance bilateral ties between the US and Saudi Arabia, experts say the prince’s visit seeks to improve the country’s PR in addition to its policy. Nader Hashemi, director of the Center for Middle East Studies at the University of Denver, told Al Jazeera the main purpose of Salman’s visit is shifting the public’s perception of Saudi Arabian society in the US. “Saudi Arabia knows that it has an image problem,” Hashemi told Al Jazeera. 32-year-old Salman, a pioneer of social and economic changes, instead wants to present himself as a “breath of fresh air, a reformer … as a liberator of women, as someone who is pro-reform [and] as someone who is taking Saudi Arabia in a different direction,” Hashemi told Al Jazeera. Salman’s concerns are valid; despite strong business relations between the two nations, a February Gallup poll found more than half of the respondents had an unfavorable view of Saudi Arabia. Still, US opinion of the oil-rich country has improved, in part due to Trump’s public stance on Saudi Arabia. Early on Trump condemned Saudi Arabia for treating women like “slaves” and implied the country was behind 9/11, but his May 2017 trip began a significant shift. He signed a $US110 billion investment deal with the country and in November seemed to praise an anti-corruption purge, saying he had “great confidence” in the country’s leaders. “Saudi Arabia and its public relations firms and allies in the United States have already spent a lot of money in trying to present the new Saudi crown prince as a different form of political leader,” Hashemi told Al Jazeera. Salman’s diplomacy tour may aim to ease investor concerns over the nation’s heavily-criticised human rights record. 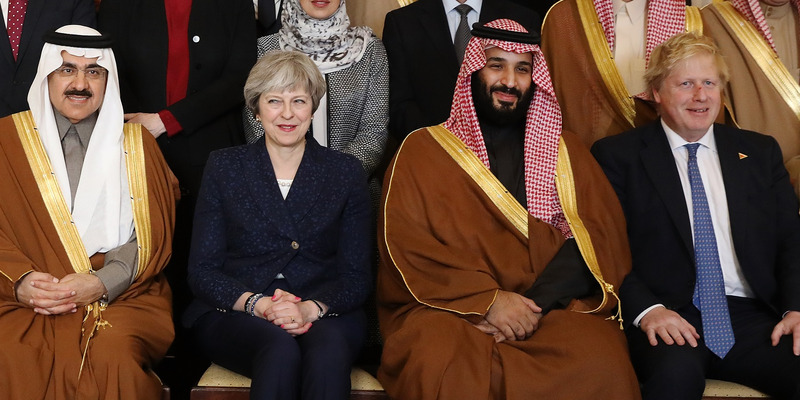 When visiting the UK earlier this month, Salman discussed investment opportunities and trade deals with UK Prime Minister Theresa May who lightly challenged his record on human rights. The Crown Prince also had lunch with the Queen and other members of the royal family, resulting in a perfect diplomatic photo-op. But there’s a lot at stake during Salman’s visit to the US, including strengthening the country’s defence and nuclear ambitions. The US has been in quiet talks with Saudi Arabia to enhance its nuclear program, which it has said may be used to develop nuclear weapons in response to its rival Iran. Saudi oil giant Aramco has also been eyeing an IPO on the New York Stock Exchange, a deal which the US has been eager to facilitate. Saudi Arabia is also reportedly in talks with Google’s parent company Alphabet to build a tech hub in the Middle East, and has discussed licensing with Apple and Amazon to bring US tech to the region.